Neviti: Dear Zoo Party Decor Review. Planning birthday parties can be both stressful and extremely expensive. Making sure you have everything you need and making sure everything stays in place also adds to the stress. On Sunday, we had Jacks little birthday party and Neviti kindly set us some party decor for the occasion. They sell a wide range of party products for various occasions but currently only sell to trade. I was able to choose the design in which to have for Jacks party and when looking at the kids parties range was torn between the 'Ahoy There' range and 'Dear Zoo' range and finally decided upon the 'Dear Zoo' range. From Neviti we received paper plates, paper bows, napkins, invitations, thank you cards, paper cups, ice cream tubs, cake stand, lunch boxes, pack of bubbles, picks and cupcake cases, party bags and masks. Thats a whole selection of the range in order to decorate for Jacks party. I was keen to see how these products would with stand, I find that party products are an item which work really well, or really don't. On previous occasions we have had party plates and bowls which have been extremely flimsy and soon collapse. I was pleasantly surprised by the amount of products we had received from Neviti, it was certainly enough to throw a fantastic party for Jack. All of the products were of really high quality and certainly didn't collapse half way through placing up some food. The plates were as strong as can be for a paper plate, holding a reasonable amount of food for each individual person. 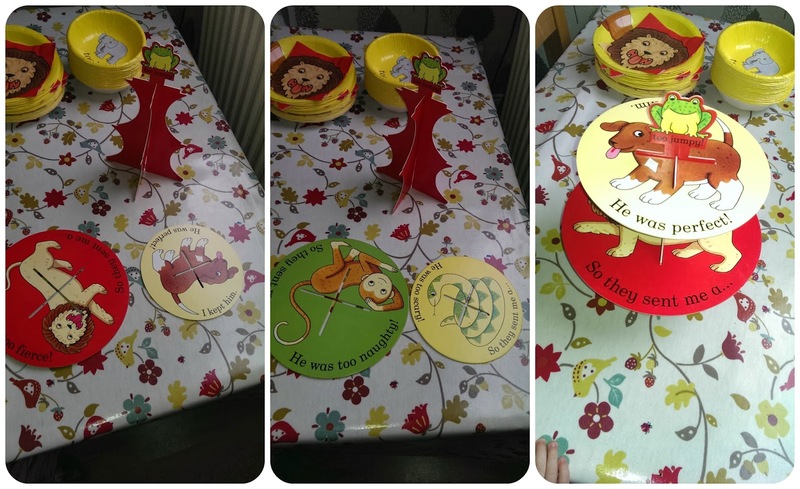 The plates feature a monkey and the phrase 'too naughty'. 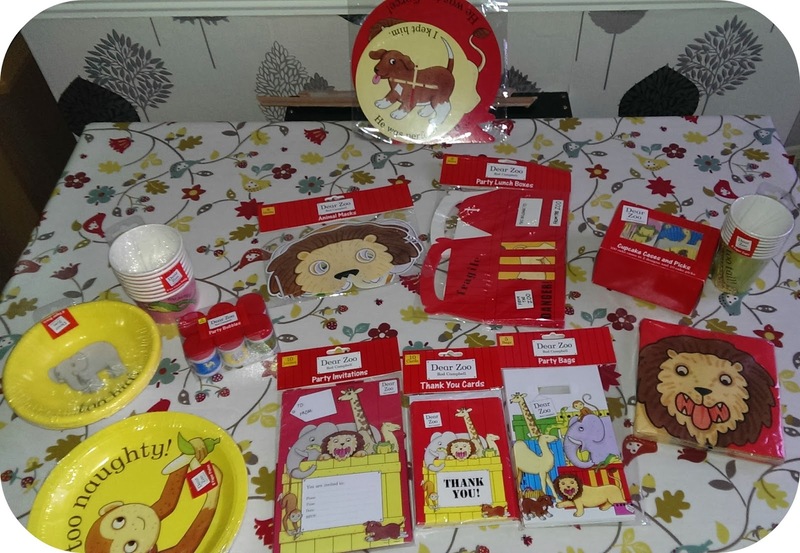 There were then some red napkins with a lion on which really stood out upon the yellow plates, unlike the other products these do not have a book quote upon them. The bowls again were really strong, these featured an elephant and the phrase 'too big'. Then we have the cups which again were really thick and durable - perfect for the children! Each cup holds 8oz, and even after juice had been in the for a while - they still didn't collapse. Always a good thing with liquid involved. We also received some Ice Cream tubs, which were really cute. However we didn't have ice cream - as February is a little cold for ice cream, so instead we used them for jelly and sweeties. Perfect mix to send children home with. These were easy to hold, and again were really strong like the paper cups. In the selection of products was a cake stand, which arrives flat packs style within four pieces - two for the base and two to provide a surface. The sides of the surfaces have a different design on both sides again with different animals and quotes from the book so I let Jack decide which images to have facing upwards. The best thing about this is it can be used time and time again. Alongside these we received a back of cake cases and picks, within the pack were 100 cake cases, which was far more than we needed, but they are always useful. Alongside all of this, we received party bags for the children which complimented everything else beautifully and of course went down a treat with the kiddies. They were white in colour and featured the range of animals featured within the book. 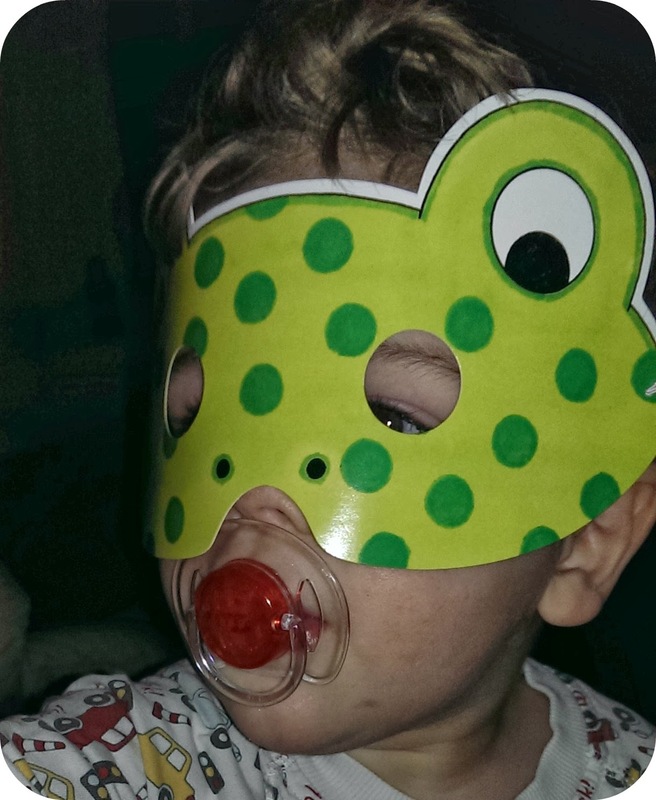 There were also party masks which the children really enjoyed. Then onto the invitations and thank you cards. A perfect way to continue theme with you party is to send matching invitations and then of course Thank you cards to everyone. They complimented the whole range beautifully and kept everything fitting in together. The whole range was perfect and certainly I would recommend the range to others. I'm sure the other designs Neviti make are just as good a quality just unfortunately you cannot purchase direct from Neviti. You can find Neviti on Facebook, Twitter and at there website. Disclaimer: we received the range of party products for the purpose of this review. All opinions and views are my own. This looks like a really lovely range! We have a fourth birthday coming up so I'm seeking inspiration right now. 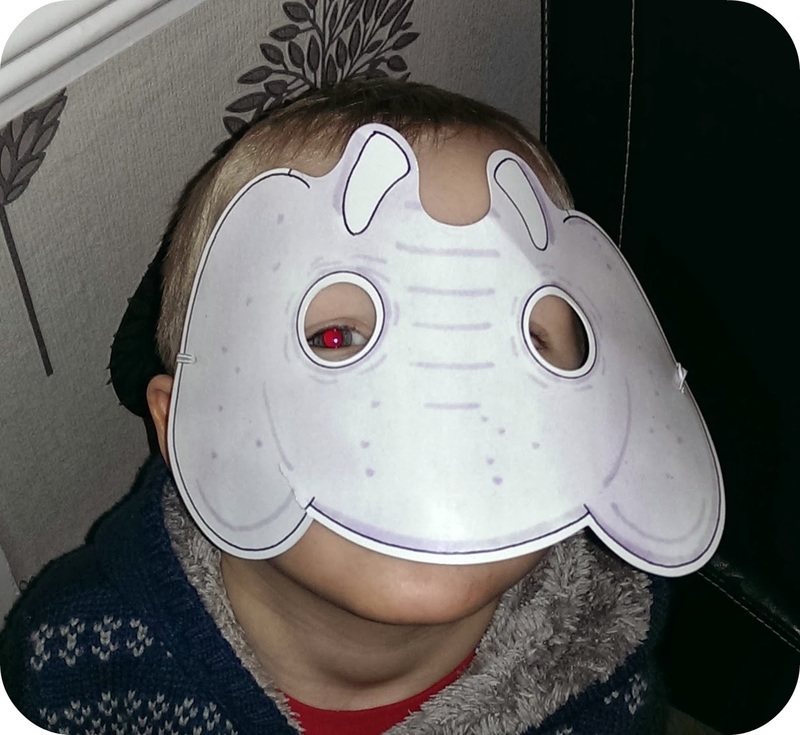 Dear Zoo is a fab choice for a second birthday. Aww, what a cute party theme that would be! Makes me wish family was closer to do those "big" family bday parties! These look great - perfect for any little one's party. Hope you all had a fab time! I love the book dear zoo and these are so cute, I love the cake stand!